Meet team Theo. 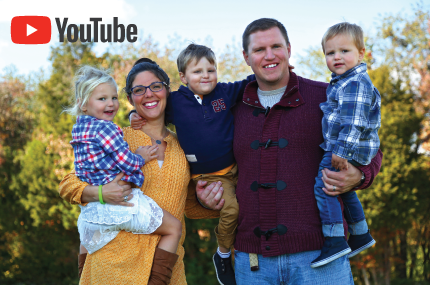 Lori and Ted tell a candid story of their son's medulloblastoma, the emotional toll it had on their marriage, and how they continue to work toward a world without brain tumors. Join us throughout the rest of September for Childhood Cancer Awareness Month by honoring our most vulnerable brain tumor patients – children – and their families as they confront the challenges of living with this disease. Please give today or find out how you can get involved so we can deliver on the treatments and medicines to make history and find a cure for brain tumors. Every September, the cancer community aims to raise awareness to address childhood cancer, including pediatric brain tumors. NBTS CEO David F. Arons provides a clear agenda for Childhood Cancer Awareness Month for 2018. "If I could fill the world with tulips, I would." These were the words of Kelly Heinz-Grundner who passed away from a brain tumor in 2005. Kelly's love of tulips has inspired this now 13-year tradition of Tulips Against Tumors to support brain tumor research for treatments, and one day a cure. 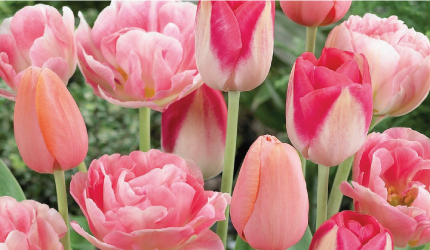 Whether you are planting tulips to celebrate someone, paying tribute to a family or friend, or you simply enjoy the beauty of tulips, Tulips Against Tumors is a perfect way to brighten your garden and give hope to those who have experienced a brain tumor. Carefully planted in the fall, these symbols of hope will bloom in spring to signify a new beginning. Order today. New this year, 55% or more of each tulip purchase will be donated directly to the National Brain Tumor Society. This was the first since the passing of our friend, Michael Yutkin, from glioblastoma. Yutkin was an amazing advocate, committed volunteer, and an integral part of the event planning committee. With a remembrance ceremony this year, the walk was important to the Yutkin family because of how inspiring and passionate Michael was for NBTS. On Friday 9/21 from 9am-5pm, the Biden Cancer Initiative will be streaming the Biden Cancer Summit live from Washington, D.C. Led by Former Vice President Biden and Dr. Jill Biden, this summit is focused on bringing communities together to accelerate progress in cancer research and care. Nitesh V. Patel, MD is a Neurosurgical resident in the Department of Neurosurgery at Rutgers University. On 11/4 he'll be running in the TCS New York City Marathon to benefit the National Brain Tumor Society, as one of the first participants in the new NBTS Gray Nation Endurance program.